Stanley Willcutt of Martin passed away Monday, February 24, 2014 at Wings Home in Allegan, MI. Stanley was born June 26, 1938 to Carl and Doris (Boyer) Willcutt in Hastings, MI. He was a truck driver for a livestock transportation company for many years, he also worked in a factory for several years in Cincinnati before returning to the area. Stanley was a life member of a hunting and fishing club and a member of the First Baptist Church of Plainwell. He enjoyed playing his guitar, model trains, reading and he loved camping. Stanley is survived by his son Christopher; a stepdaughter, Angie; 13 grandchildren; 3 siblings; Charles (Mary Lou) Willcutt of Delton, JoAn Marie Waite of Kalamazoo and Irene Ziegler of Martin; several nieces and nephew and great nieces and nephews. He was preceded in death by his parents; his wife Sue Ann; his son Daniel Shon and by his granddaughter. Cremation has taken place according to his wishes. A memorial service will be held at the First Baptist Church of Plainwell on March 8, 2014 at 11:00 A.M. with Pastor Jack Nichols officiating. Contributions in memory of Stanley may be made to Wings of Hope Hospice or to the First Baptist Church of Plainwell. Edward Thar of Plainwell passed away Saturday, February 22, 2014 in Battle Creek. Mr. Thar was born September 1, 1936 in Benton Harbor to John and Enola Thar. Ed served his country in the Air Force and enjoyed fishing and hunting. On September 23, 1995 he married Sandra Lawson who survives. Also surviving are his children, Robin (Sherman) Brown of IN, Michael Thar of FL, Natalie Thar of MI and a step-son, Ron (Cindy) Brock Jr. of MI; a sister Oralee; many grandchildren, great grandchildren and great-great grandchildren. He was preceded in death by a son Jim. Following his wishes cremation has taken place and burial of ashes will take place at Ft. Custer National Cemetery, Augusta. William H. Henderson age 88 formerly of Otsego passed away Wednesday, February 19, 2014 in El Paso, Texas. Mr. Henderson was born July 29, 1925 to Harvey and Lillian (Krueger) Henderson in Otsego. He was a graduate of Otsego High School and for over 30 years was a lineman for Consumers Power until his retirement in 1980. He served his country in the Navy during WWII. William was a life member of the V.F.W. and Elks and enjoyed making jewelry in his spare time. On December 24, 1962 in Plainwell he married Sandra E. Roebuck who died in 1993. Also preceding him in death were his parents; his brother, Harvey “Bud” Henderson in 2004; and his grandson, Matthew Henderson in 1979. Surviving is his son, William (Donna) Henderson of Kalamazoo; his grandchildren, Michael (Heather) Henderson of Mecosta, Michelle (Matt) Garlock of Kalamazoo and Jason (Jessica) Henderson of Florida; nine great-grandchildren; his sister-in-law, Rolene Henderson; and several nieces and nephews. Contributions in memory of William may be made to the American Heart Association or the American Cancer Society. 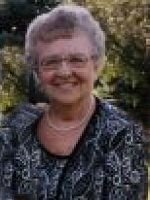 Colleen L. Thaxton (nee Severy), of Otsego, Michigan, passed away Wednesday morning, February 19, 2014, at her home in Otsego with her husband of 65 years, Ronald L. Thaxton, at her side. Colleen, only child of Luther and Ada Severy, was born on November 14th, 1929 and lived her entire life in Otsego. She married Ronald, her High School sweetheart and classmate, on September 11, 1948, in Otsego. Colleen had many friends and relatives in the Otsego area and was employed for a short time as a school bus driver with Plainwell Public Schools. She was a member of the Otsego Congregational Church and an active member of the Ladies Guild. For most of her life Colleen was a dedicated and loving mother to her children including son Anthony ‘Tony’ (Becky) of Holland Michigan, daughter Sally Betzner of Plainwell, son Rodney (Kathy) of Otsego, and daughter Christine Zeeryp (Gary) also of Holland. A highlight of her life was time spent with her grandchildren including Brian Betzner (35) of Otsego, Jennifer Thaxton (29) of Washington DC, Ikeca Betzner (22) of Orlando, Florida, Joshua Thaxton (24) of Otsego, and Andrea Thaxton (21) who is a student at NMU in Marquette, MI. There are many fond memories of time spent at holiday gatherings, the swimming pool at home, and winter breaks on the beach near their winter home of 22 years in Venice, Florida. Friends and acquaintances are welcome to a memorial service that will be held on Wednesday March 5th at 11:00 AM at the Otsego Congregational Church, 120 W. Morrell St, Otsego, MI 49078. Contributions in memory of Colleen may be made to the Otsego Congregational Church or Wings of Hope Hospice. Bonita C. Knight passed away Saturday, February 15, 2014, at her home in Kalamazoo. Mrs. Knight was born February 4, 1926 in Fort Wayne, Indiana the daughter of Chauncey and Ruby (Dinius) Tucker. She was an accomplished artist and pianist, but above all she was devoted to the Lord. On February 28, 1947 in Bluffton, Indiana she married Blain Knight who died in 1997. They had been married for 50 years. She was preceded in death by her parents and her grandson, Matthew Stuart. Surviving are her children, Ruth (Tom) Fowle, Rebecca (Morrie) Kaleward, Tony (Lorrie) Knight and Scott Knight; ten grandchildren; eight great grandchildren; and her sister, Arlene Tucker. Cremation has taken place. A Memorial Service will be held Sunday, February 23, 2014 at 1:00 P.M. at the Winkel Funeral Home, Otsego, with Celebrant Bill Rose officiating. Burial of ashes will take place at Bushnell National Cemetery in Florida at a later date. In lieu of flowers contributions in memory of Bonita may be made to Kalamazoo Gospel Mission. Darrel J. Allen age 75 of Otsego, got his promotion to glory on Sunday, February 16, 2014, at Borgess Medical Center in Kalamazoo. Darrel was born July 25, 1938 in Marenisco, MI to Clarence and Grace (Cox) Allen and had been a lifelong resident of this area. He was employed as a DNR officer with the State of Michigan for 30 years until his retirement. He was a mentor to many young men, had been a member of the Plainwell Rotary, and had been active with the 12th Street Baptist Church of Kalamazoo and with Plainwell Baptist Church, Darrel was a member of First Baptist Church of Allegan. In his leisure time he enjoyed hunting, gardening, cooking and shelling on the beach in Florida. He loved his dog Charlie Brown but most of all he loved his family. 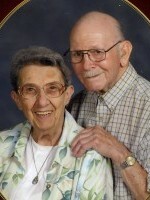 On December 20, 1958 in Plainwell he married Barbara Johnson, who died in 2008. Also preceding him in death were his parents; his great-grand daughter, Natalie Allen; and his siblings Charles, Clarence Jr. and Arlove Pete. Surviving are his son, Tim Allen and his companion Theresa Dibble of Plainwell and daughter –in-law Diane Allen of Hopkins; his son, Todd (Janet) Allen also of Plainwell; four grandchildren, Ryan (Heidi) Allen, Leanne (Cory) LaFountain, Kelli (Josh) Smith and William (Angela) Allen; seven great-grandchildren, Dominik, Logan, Hunter, McKenzi, Lilly, Julianne and Mason; his sisters, Darlean Day and Florence Baker; and several nieces and nephews. Friends may visit with his family at the Winkel Funeral Home, Otsego from 6 to 8 P.M. Wednesday, February 19, 2014, and on Thursday, February 20, 2014, at the 12th Street Baptist Church in Kalamazoo from noon until the time of service at 1:00 P.M. with Pastor Don Boss officiating. Burial will take place at Hillside Cemetery in Plainwell on a later date. Contributions in memory of Darrel may be made to the Beechpoint Christian Camp of Allegan. Betty L. Tishhouse of Otsego, Michigan, passed away unexpectedly Sunday, February 16, 2014, at her home. Mrs. Tishhouse was born April 8, 1931 in Otsego to Irwin and Cecil (Sims) Hill and had been a lifelong resident of the area. For many years she had been employed as an aide with Otsego Public Schools, retiring in 1996. 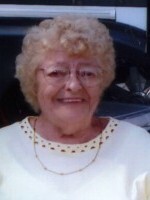 Betty loved her children, grandchildren and great-grandchildren very much. In her leisure time she enjoyed walking, gardening, quilting, reading and crafts. She also enjoyed her prayer group with lifelong friends of over 40 years. On July 1, 1949 in Otsego she married Robert Tishhouse, who died in 2011. They had been married over 61 years. She was preceded in death by her daughter, Caren Horton in 2006; her sister, Joan Wiers; and four brothers, Thomas Hill, Danny Hill, Robert ‘Bill’ Hill and Irwin ‘Bunker’ Hill. Surviving are a daughter and a son, Cathy Tishhouse of Detroit and Stephen (Carrie) Tishhouse of Kalamazoo; a son-in-law, Keith Horton of Plymouth; six grandchildren, Liz and Jenni Evans, Stephanie (José) Escobedo, Joshua (Emily) Tishhouse, Jarrod (Kendra) Tishhouse and Ellen (Jared) Hanly; two great granddaughters; many nieces and nephews; and three sisters-in-law, Barbara Hill, Mary Tishhouse and Mary Hill. Cremation has taken place. Betty’s family will greet friends from 10 to 11 A.M. Wednesday at the Otsego Church of God where a Memorial Service will be held at 11:00 A.M., Pastor Stephen J. Burrow officiating. Burial of ashes will be at Mountain Home Cemetery, Otsego. 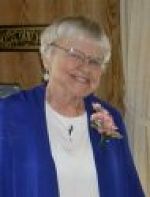 Contributions in memory of Betty may be made to the Otsego Church of God. Ruth Amelia Miller, 87, of Baraga Manor in Otsego, Michigan, died Saturday, Feb.15, 2014, in Kalamazoo, Mich. following repair of a fractured hip. Miller was born Oct. 12, 1926 in Conway, Mo., the daughter of Edward and Joy (Marsh) Miller. She was a graduate of the Burge School of Nursing, and was proud to have spent most of her career ushering babies into the world as an obstetrical nurse. She worked at St. John’s Hospital and at General Electric in Springfield, Mo. as well. Miller loved babies and children, was lovingly known as Aunt Boo to hundreds of them across the country. She was loyal to family and friends, a champion of the underdog, and a kind and generous neighbor. As a girl, Miller’s beautiful alto singing voice was in high demand at weddings and funerals, and she will be remembered for her sense of fashion, her delicious home cooking, excellent needlework and willingness to help anyone who needed her. She was preceded in death by her parents; her sisters Annie Ivene Miller, Rosemary Van Fossen and Lois Hill; brothers Stanley Miller, Ralph Miller and Louis Miller; nephew Ted Hill. 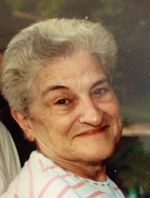 She is survived by a sister and brother-in-law, Marcia and George Wissbaum; nephews Brent Miller and his wife, Nancy, Mark Wissbaum, Roger Wissbaum; nieces Elma Rosenberg and her husband, Calvin; Ruth E. Simmons and her husband, David; Rosemary Parker and her husband, Chuck; Julia Wissbaum and Louise Wissbaum, Penny Miller and Shirley Miller; great nieces and nephews and a large circle of friends. Cremation has taken place. A memorial will be planned at a later time, according to her wishes. Memorials may be directed to the Conway Memorial Library, 327 E. Jefferson, Conway, MO 65632. Mrs. Ollie “May” Babcock of Plainwell, MI, passed away Saturday, February 15, 2014 in Kalamazoo. 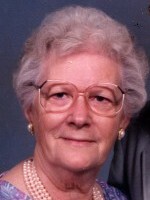 Mrs. Babcock was born December 29, 1934 in Mount Leonard, MO the daughter of Walter and Julia (Gennings) Martin. For over 50 years May was a foster mother to over 100 children and she enjoyed collecting dolls and crocheting. On August 30, 1952 in Middleville, MI she married John E. Babcock who survives. Also surviving are 3 sons and 2 daughters, Dan Julien of Kalamazoo, Danny Babcock of Plainwell, Cindy Liska of Portage, Deb Babcock of Pontiac and Tim Babcock of Plainwell; 14 grandchildren; twin brothers, Billie D. Martin of Newburg, MO and Bobbie J. Martin of Hastings, MI; 5 sisters, Ruby Deberry and Dorthy Hoss both of Newburg, MO, Bertha Kruizenga of Hastings, her twin sister, Fay Slagel of Freeport, MI and Jane Anthony of Milan, MI; many nieces and nephews. Friends may visit with her family from 2 to 4 and 6 to 8 P.M. Tuesday, February 18, 2014, at the Winkel Funeral Home, Otsego. A funeral service will be held at 11:00 A.M. Wednesday, February 19, 2014, at Friendship Wesleyan Church, Plainwell, MI with Pastor Kevin Smith officiating. Burial will take place at Union Cemetery, Lacy, Michigan. Contributions in memory of May can be made to Friendship Wesleyan Church Youth Program.